The online gambling companies are growing fast in Nigeria, with millions of sport lovers attempting to earn money as reward for passion. Online gambling is making serious waves and almost 85% of Nigerians are punters. Is Online Gambling Legal In Nigeria? Some citizens are still not aware about the legality of online gambling in Nigeria. It is legal and you must be 18+ to gamble either online or offline. 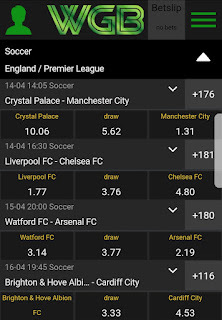 Although people are making millions of naira from gambling, but there has been too much of loses than winnings in the online football betting. For this reason, many are in search for a working online gambling strategy. Many professionals say if you want to win, it is safer you go with the better football teams. 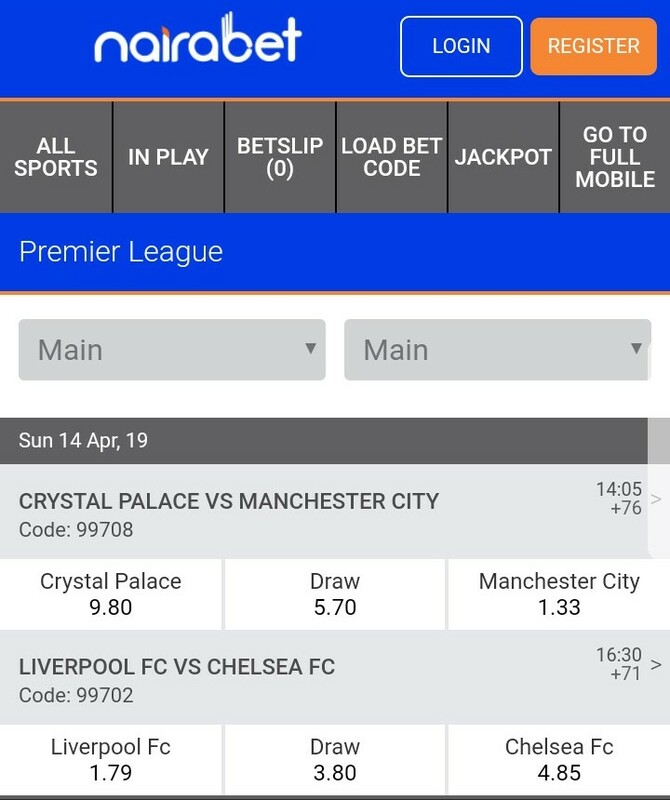 But in our today's post, we will be talking about the best bookmakers in Nigeria based on customers reviews. Many of these reviews were based on cash out options, fast payout, odds, deposit options, customer service, online casino gaming system, horse racing, virtual soccer and more. And in our reviews, we will use today's football matches in England to compare odds. This is the most popular name in the sports betting business in Nigeria. From our today's odds comparison, Bet9ja has the smallest odds, but the best bonus. Payout is done within 24 hours on withdrawal. 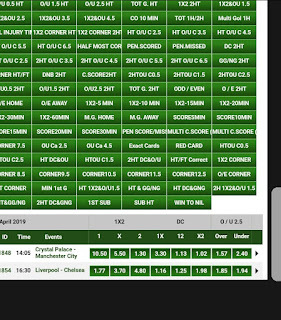 It has has the best cashout options, as you can cashout on match that is on. You can also cash out on tickets. You can cashout before and during a match. Deposit options are wide though, but nothing compared to BetKing. Minimum deposit is 100 naira. Customer service is excellent. They old in the system and have the biggest fan base. They 100% reliable. If we are to go with the name, Betking will win in our today's reviews. 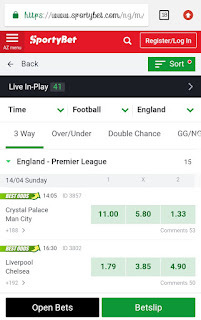 It is a new company though, but it is the number one threat to Bet9ja in sports betting business. They have the biggest odds and a good bonus. Payout is fast and is done within minutes on request. Customer service is excellent. You can only cashout on a game before the match begins. Also, cashout is available on tickets. They have the best deposit options for customers. Minimum deposit is 50 naira. They are also reliable. 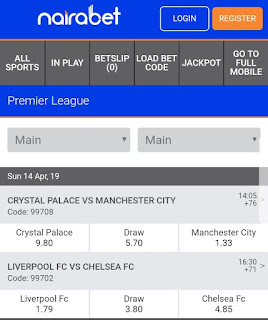 Naira is one of the oldest and one of the best bookmakers in Nigeria. 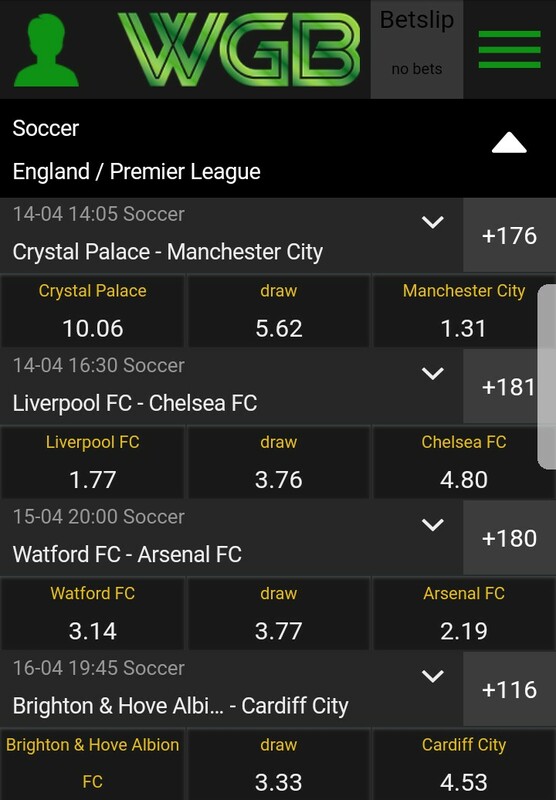 With big odds, though bigger than Bet9ja's, but smaller than BetKing's. Cashout online available online. Customer service is good and it has wide deposit options. Payout is within 24 hours on request. They are reliable. Though they are new, but already making a name in the sports betting business too. Their odds are small though, but bigger than Bet9ja's. Fast payout and many deposit options available for customers. Cashout also available before and during game. Customer service is good and quick to respond to complaint. They are very reliable. Owned by a lotto company, it offers online casino, lotto, football betting, horse racing and more. 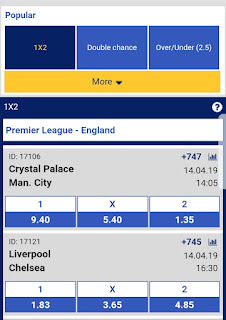 It offers big odds with fast payout and ability to cancel ticket before the first match on the ticket begins. Deposit options are wide too. Cashout is available online and customer service is good. 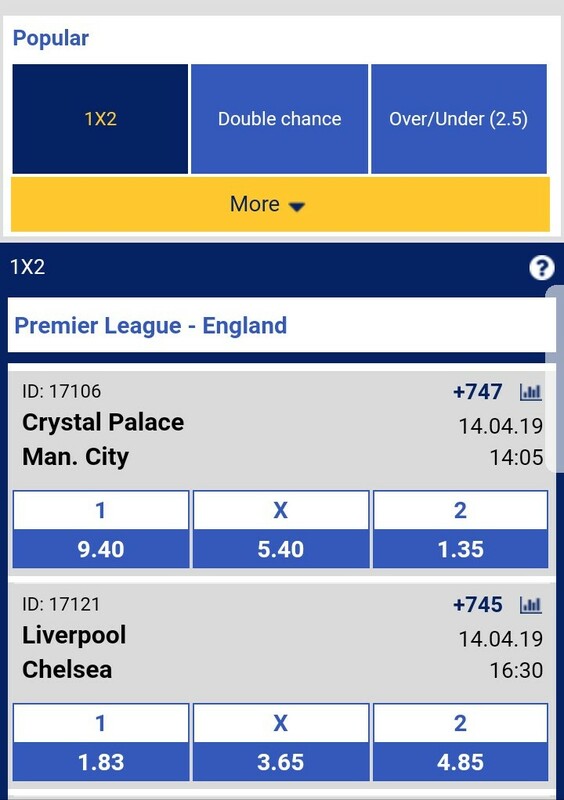 Bonus is better than Nairabet. It is reliable. CONCLUSION: These reviews were not made to condemn any bookmaker, but to help punters chose with sportsbook fits his or her needs.